Young Jorge (Flávio Bauráqui) and young Miguel(Caco Ciocler) in “Almost Brothers (Quase Dois Irmãos.” Photo courtesy of Global Lens Collection. THREE films available on DVD come Tuesday give evermore credence to Edmund Burke’s assertion that all it takes for evil to spread is for good men to do nothing. Exhibit No. 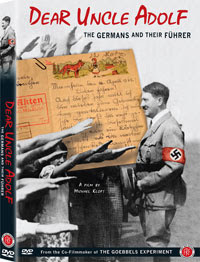 1 is “Dear Uncle Adolf: The Germans and Their Führer” (2010), which concerns thousands of letters written by Germans to Adolf Hitler. "A German woman's dream: to see the Führer, just once. Just once to stand close to him. Just once to gaze into those eyes, those eyes they call a prophet's. You hold the hearts of an entire people in your hands, and anyone who sees you pass by, they are envied by those who stand by,” coos Berliner Gertrud Sprinik. “I, too, may never catch a glimpse, but with every greeting, it's your name I call. Heil Hitler: it's almost like offering a prayer, the raised hand asking for your blessing. May God bless you and protect you. Heil Hitler! That is my prayer for you." The Berlin woman's letter is among the representative sample of thousands – found in a secret Russian archive – that director Michael Kloft uses to illustrate the feelings of the German people toward their leader. For a time in the 1930s, AH was a heroic figure who brought his people out of the dark days of World War I and helped them regain a measure of lost pride. In the letters, which are read in a sort of chronological order by actors in voiceover as they are shown on screen, Germans express sentiments such as loyalty, encouragement and best wishes. Some express, criticism as well, especially when it becomes clear to some that the Führer might be mad. “Dear Uncle Adolf: The Germans and Their Führer” uses extensive archival footage featuring AH before large, adoring crowds. One man wants to try to make things right in "Wrong Side of the Bus." Wracked with guilt and facing the disapproval of his son Aaron (who also narrates), SB who since his med school days has since settled in Australia, seeks to use the occasion of his 40th medical school reunion to begin to atone. “Wrong Side of the Bus” was the best documentary winner at the International Film Festival South Africa the year it was shown there. 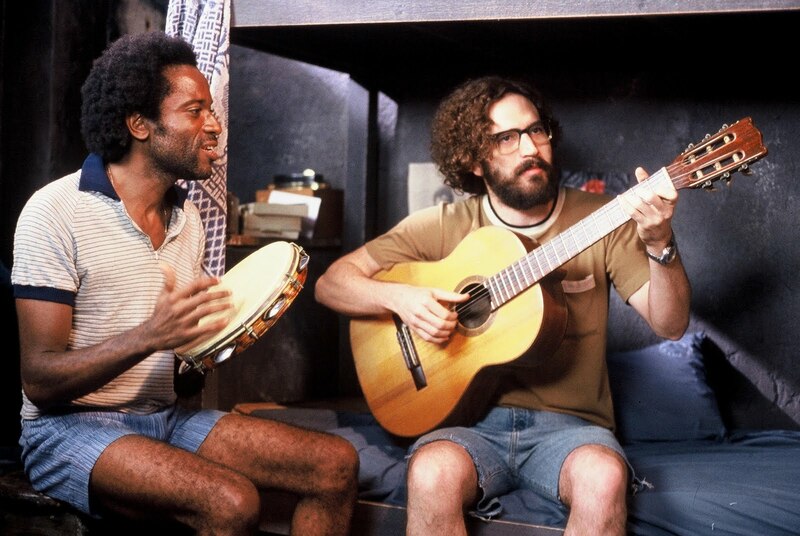 If not atonement, a fragile alliance must transpire between black Brazilian drug lord Jorge (Antônio Pompêo) and white Brazilian politician Miguel (Werner Schüneman) in “Almost Brothers (Quase Dois Irmãos,” Lúcia Murat/2004). It was not until the late ‘90s that the Brazilian government officially acknowledged that perhaps not all of its citizens are treated equally. The divergent paths of Jorge and Miquel's life are proof of the inequality. As boys they became friends through their fathers – one a musician the other a music lover. "The Best of Global Lens: Brazil" is a box set of four films, lighthearted and serious, that touch on the socio-economic struggles and triumphs of Brazilians. While they shared a brief stint in jail in the ‘70s, only young Miguel (Caco Ciocler) was able to leave that life behind. Young Jorge (Flávio Bauráqui) had no such opportunity. In fact he is back in prison, controlling drug traffic on the streets of present-day Rio de Janeiro from his cell. Now in their middle years, Jorge and Miguel’s paths cross again when Miguel seeks Jorge’s help on an anti-drug/poverty initiative. Their lives will become even more intertwined when/if Miguel discovers that his daughter has become involved with some of Jorge’s lieutenants. 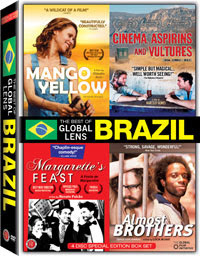 “Almost Brothers” is one of four Brazilian films in a box set from the Global Lens Collection. 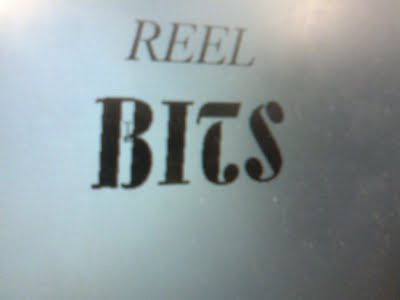 See trailer at http://www.catalogue.globalfilm.org/global-lens-collection/almost-brothers.html. Visit www.firstrunfeatures.com/ (First Run Features) for DVD purchase information. WHEN Sparky is killed in a car accident Victor is overcome with grief. But the youngster turns his grief into true grit when he bring his pooch back to life in a whole new, sometimes scary way. Poster from Tim Burton's feature-length film version of "Frankenweenie." Image from The Walt Disney Studios. Sound familiar? This is the premise of “Frankenweenie.” Tim Burton is remaking his 1984 live-action short as a full-length, stop-motion film shot in b&w. 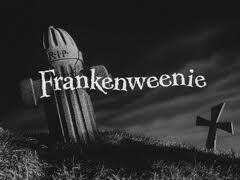 Featuring the voices of Winona Ryder, Martin Landau, Martin Short and Charlie Tahan as Victor, “Frankenweenie” won’t hit movie theaters until October 2012. However, visitors to The Walt Disney Studios' D23 Expo this weekend (19-21 Aug.) will get a behind-the-scenes look at the film. The expo at the Anaheim (Calif.) Convention Center also promises glimpses of never-before-scene footage of “Frankenweenie,” several other Disney, Pixar Animation Studios (“Brave”) and Marvel Studios (“The Avengers”) projects, as well as exhibits, panels, advance screenings and star appearances. 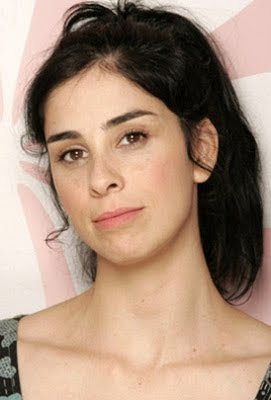 Sarah Silverman provides the voice of Vanellope von Schweetz in "Wreck-It Ralph," an animated film set in the world of video games. Photo from Getty Images. An exhibit at Disney’s D23 Expo that is bound to inspire wonder is the one that features props from “Pirates of the Caribbean: On Stranger Tides” ... Director Andy Jimenez and his classic short, “One Man Band,” are on a program of five sessions celebrating a quarter-century of Pixar’s special brand of wizardry ... “The Lion King” fans will have an opportunity to take in an advance screening of an all-new 3D version of the film due out in the fall. Named in honor of the year that the Walt Disney movie studio opened its doors, D23 won’t close without trotting out stars of Disney films. 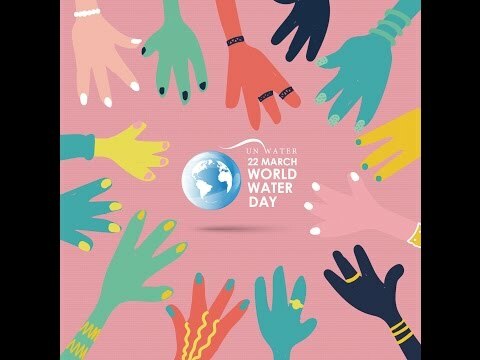 Gazers can clap eyes on Miss Piggy (“The Muppets”), Willem Dafoe (“John Carter”), Jennifer Garner (“The Odd Life of Timothy Green”), Sarah Silverman (“Wreck-It Ralph”) and others. Visit http://http://www.d23expo.com/ to learn more about the "D23 Expo," including ticket information and visit www.Disney.com/D23 to learn more about D23.